Dayton transflow blower. 115v @ 60 Hz. 78 cfm. 1-3/8" x 7-1/8" discharge opening. Rotron nugget blower. 50 cfm. Nugget fan Model NTH3. 230v, 50/60 Hz, 7 watts. Impedance protected. 1-7/8"D discharge. 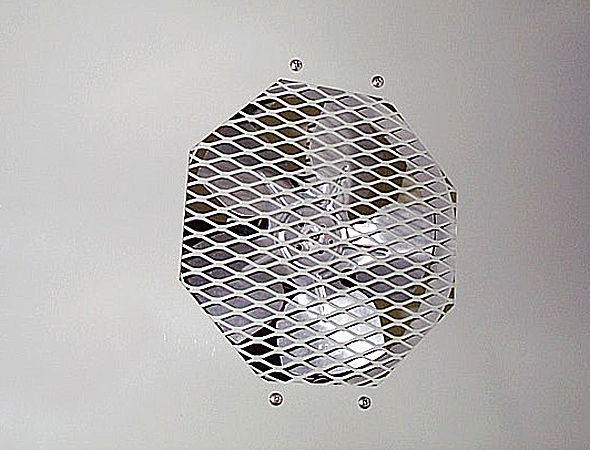 Max dimensions: 3-1/2" x 4" x 2-1/8"H.
BTS fan tray assembly. Two NMB-MAT model 225R103D0801 squirrel cage fans. Each 36-60v DC, 4 amps with tach output. Dual 5-3/4" intakes on bottom with output on rear. Combined up to 1360 cfm. 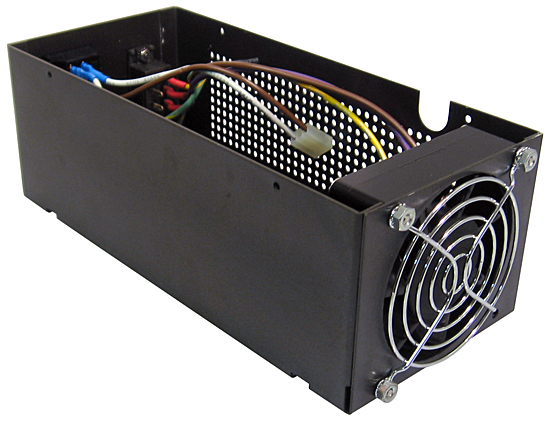 Fans are driven by a current mode PWM power supply with 10 flow rate settings. Thermal sensors in air flow. Front panel has red/green LED light for fail/normal indicator. Apply power to two adjacent large pins: top-negative, bottom-positive. 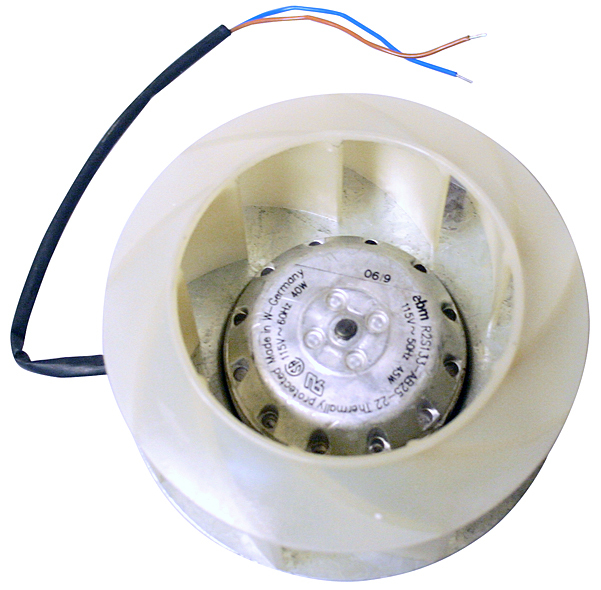 EBM 133mm backward curved centrifugal fan. 170 cfm @ 0" (curve 1), 115 vac, 50/60Hz, 40 watts. Only 60 dBA. Weighs 2 pounds. 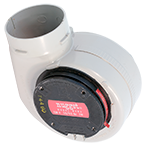 Features ball bearings, built-in capacitor & 5.24" diameter x 2.34 wide plastic impeller. 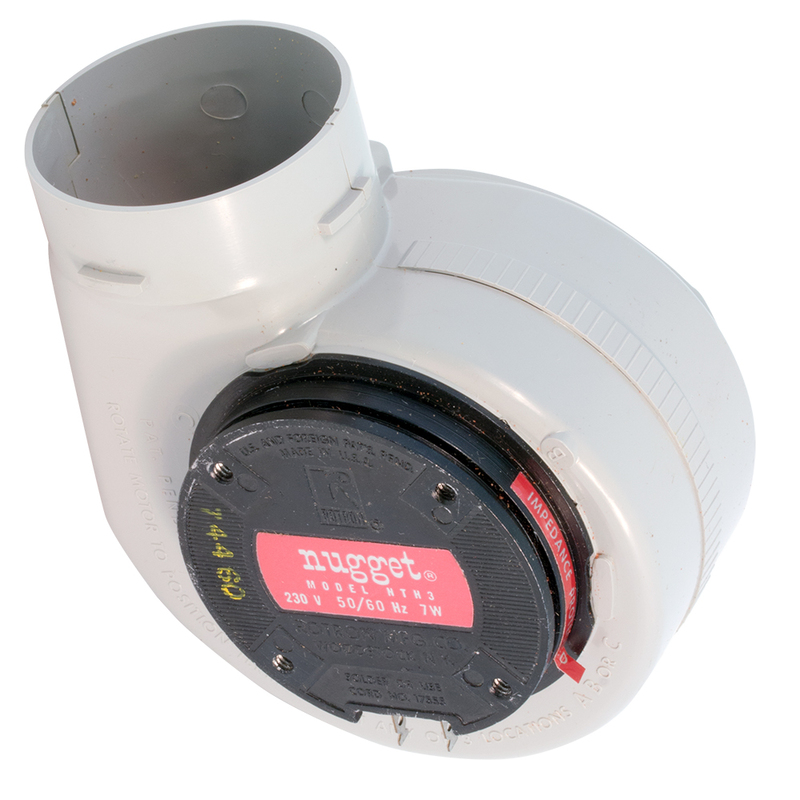 3.56" diameter inlet port. 1,600 available!! 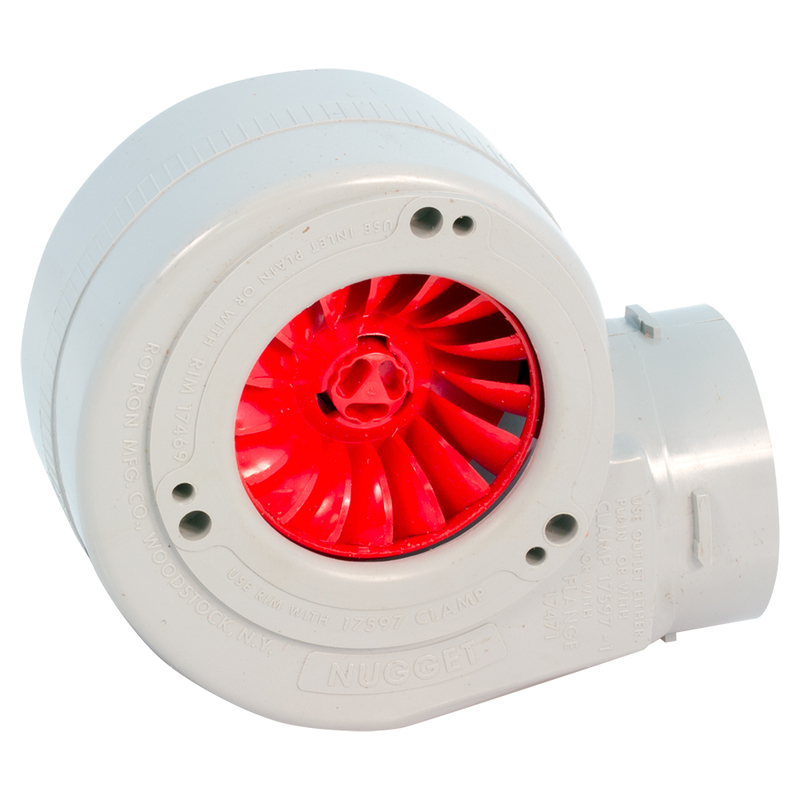 Rotron nugget fan, 50 cfm. 110 - 136v, 50/60 Hz, 4 watts. High speed impeller flushes up to chassis hole (1-3/4"D) and draws air in to pressurized chassis. Four #8 threaded mounting holes on bottom. 1-3/4"D inlet, 1-15/16" high. 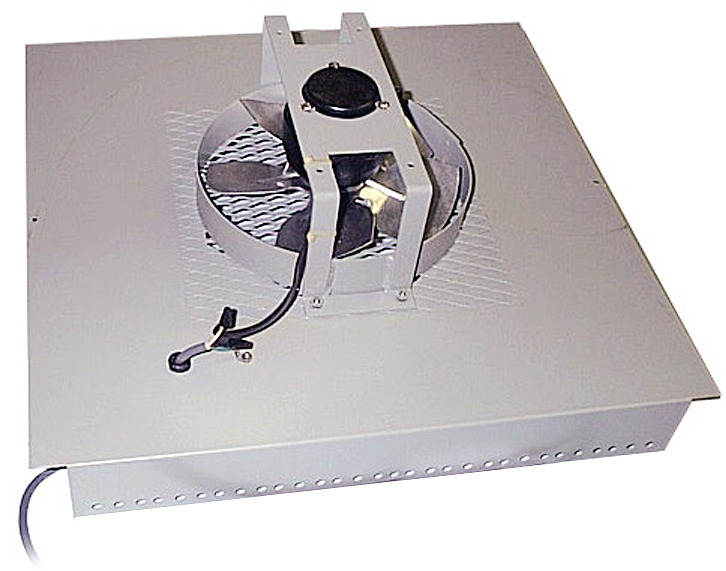 Electro Impulse Inc. rack cabinet exhaust fan. Motor - 115 vac, 50/60 Hz with AC plug. 6 watt. Propeller style. 19-5/8" x 20-3/8" max dimensions. 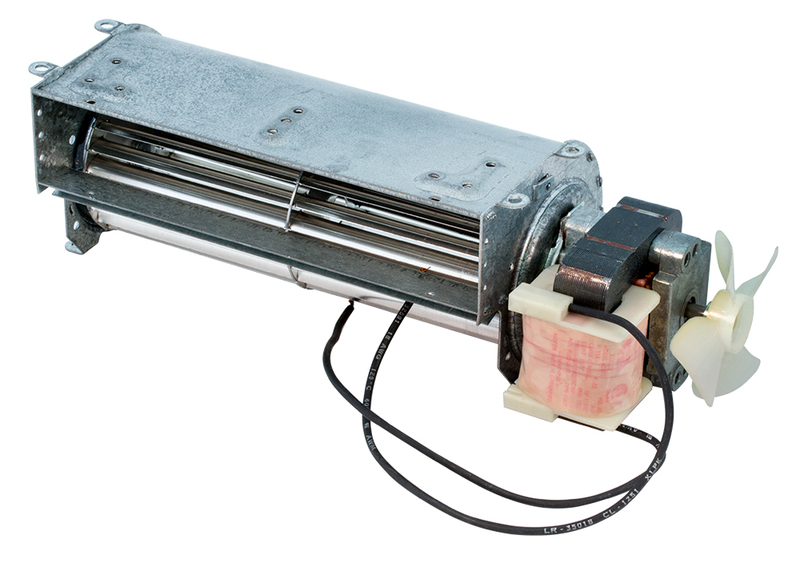 This is a replacement fan for 25kw – 50 kw broadcast dummyload. New in the box! Harris kit P/N: 994-6666-001. Need an air start blower for your jet turbine? Here you go. Military surplus in unknown condition (no 3 phase power for a test). 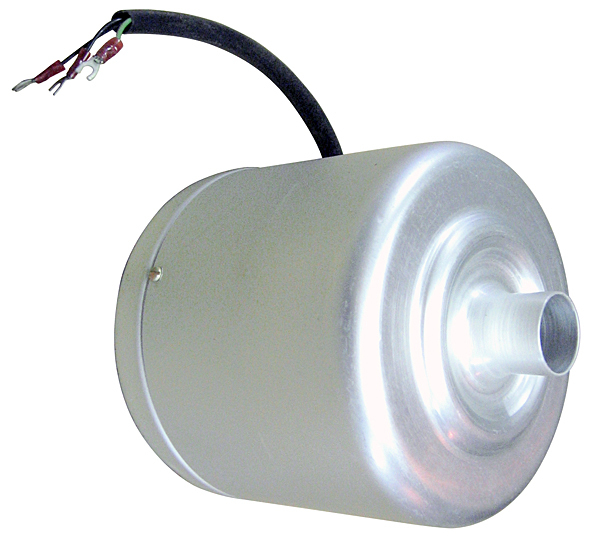 Explosion proof, 10 hp, 3550 rpm, 230v / 460v, 4.2 amp / 2.1 amp, 3 phase motor. Includes 50' discharge hose and power cord. Approximate dimensions 30" high x 30" x 36". Pneumatic tires are flat but may just need air. Makes a great evacuation fan for almost any use imaginable! Original costs $4000 each. 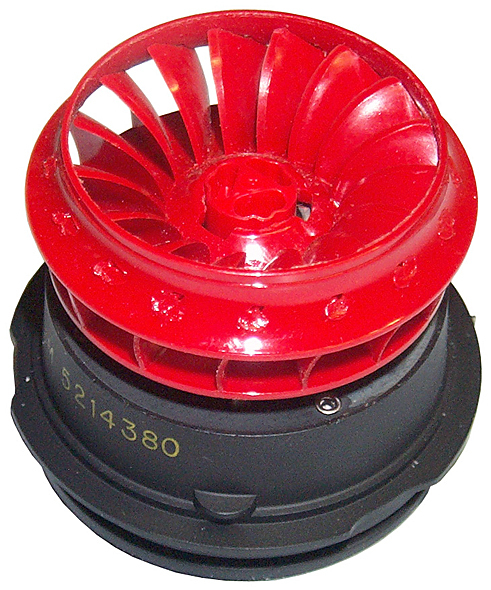 Cover for portable military equipment has Globe 19A2241 miniature 27 vdc fan mounted as shown. Also in lid is DC filter for motor and KPT07E145S connector. Brand new! 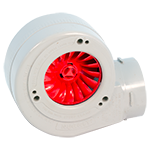 This mil-spec spiral type blower has a 1-1/4" diameter suction to which a flex hose connects. 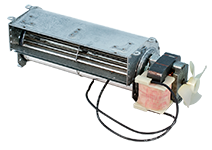 Remotely evacuates chassis and creates negative pressure for tube cooling. Keeps blower and NOISE out of sight and sound. 115 vac, 60Hz. 6" diameter body, 6" long. Brand new. Military green, new power supply box has 12 vdc, 1" deep x 3-1/8" square fan on one end, a recessed 3 blade AC jack, switch and 230 / 115 vac selector switch opposite end. 3-1/4" high x 4" deep x 9-1/2" long.